Aside from the ongoing debate over the definition of “evangelical,” the 2016 Presidential Election has also stirred discussion over civil responsibility. 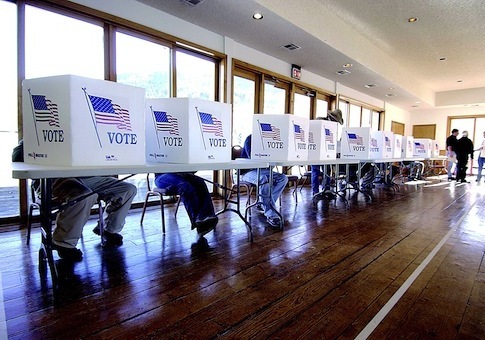 How are Christians called to exercise their vote? Or are they? The question presupposes a strong sense of responsibility. But it assumes more than that. If one is in fact deemed “responsible,” he or she must first be deemed “competent.” And herein lies the particularly Baptist idea underlying Moore’s powerful words. In a democracy – political or ecclesiastical – the notion of responsibility begins with rulership. And as thousands of Baptists peer into the political circus for our nation’s presidency, it’s important to understand why this election affirms what it means to be Baptist. In Axioms, Mullins goes on to state, “Democracy in church government is an inevitable corollary of the general doctrine of the soul’s competency in religion.” (55) In other words, when we recognize the soul’s competency for decision-making (e.g. faith), we then understand the congregation’s competency to decide its leaders. (This is not to mistake competency for proficiency) This is why Congregationalist policy is also a Baptist distinctive. It’s a natural outworking of soul competency. According to Mullins, the Reformation doctrine of the priesthood of the believer is but an expression of the competency (or “freedom”) of the soul. For Martin Luther as well as Baptists, every believer is a priest with direct access to God through faith. For Baptists, that presupposes the competency of the soul, the responsibility of every believer to believe or reject Jesus Christ. Salvation may be through grace, but it’s also through faith exercised by the believer. During this 2016 Presidential Election, no matter the candidate, Baptists should consider the privilege of democracy and religious freedom not just for their political benefits but for their underlying assumptions. By the grace of God, sinners are competent to make decisions for themselves. In the words of E.Y. Mullins, “the competency of man in religion is the competency of man everywhere.” (65-66) The idea of “soul freedom” should never evoke thoughts of human individualism or self-autonomy. In fact it should do the opposite, reminding us of the divine image we bear as competent vice-regents under the sovereign Lordship of Christ.